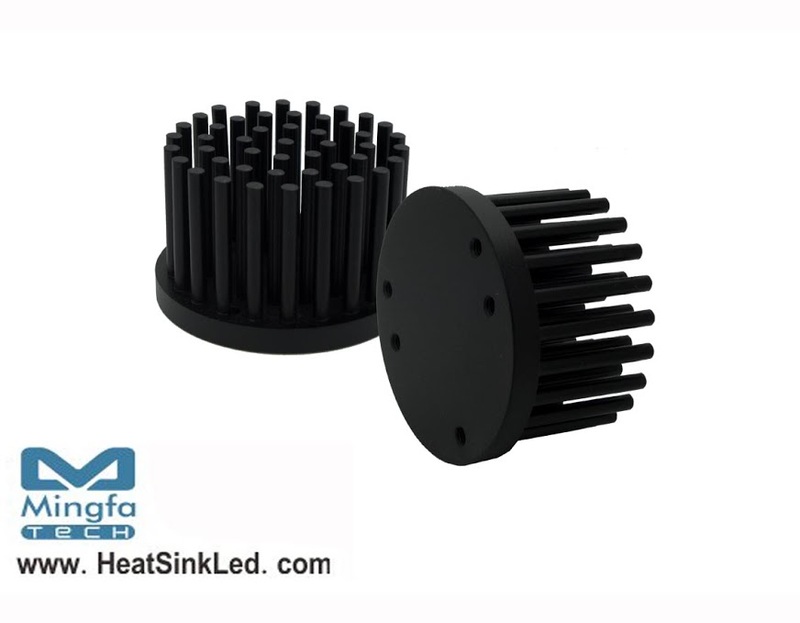 * The GooLED-VOS-4830 Vossloh-Schwabe Pin Fin LED Heat Sinks are specifically designed for luminaires using the Vossloh-Schwabe LED engines. * For spotlight and downlight designs from 500 to1100 lumen. * Modular design with mounting holes foreseen for direct mounting of Vossloh-Schwabe LUGA Shop and LUGA C LED engines.